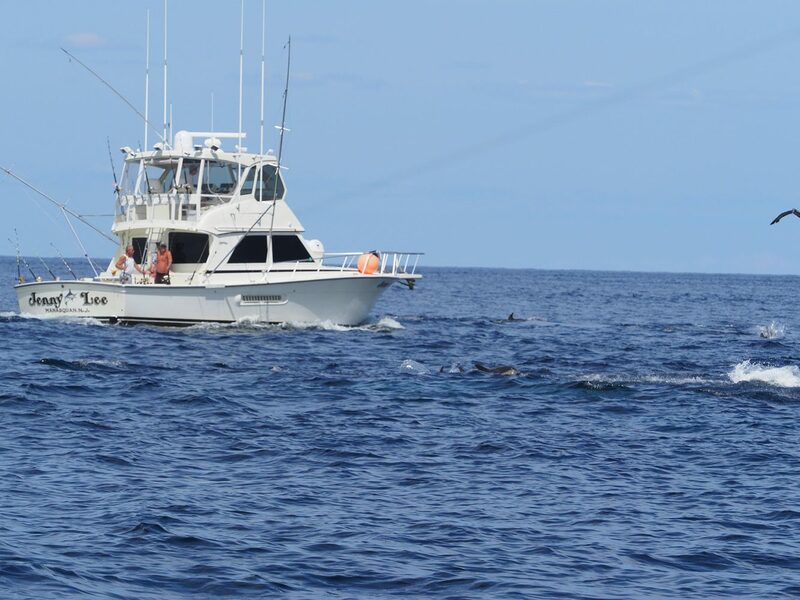 The Jenny Lee is a 44’ Henriques specifically designed and built for fishing. 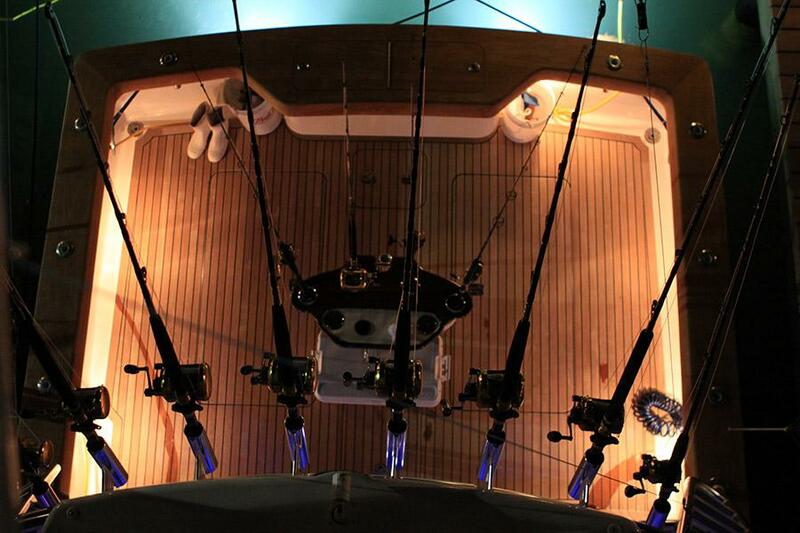 An oversized cockpit, full suite of electronics and well-appointed salon provides a comfortable platform that catches fish! Our 36’ Jersey Cape, the Lucky Strike, offers more speed and style in a smaller boat. 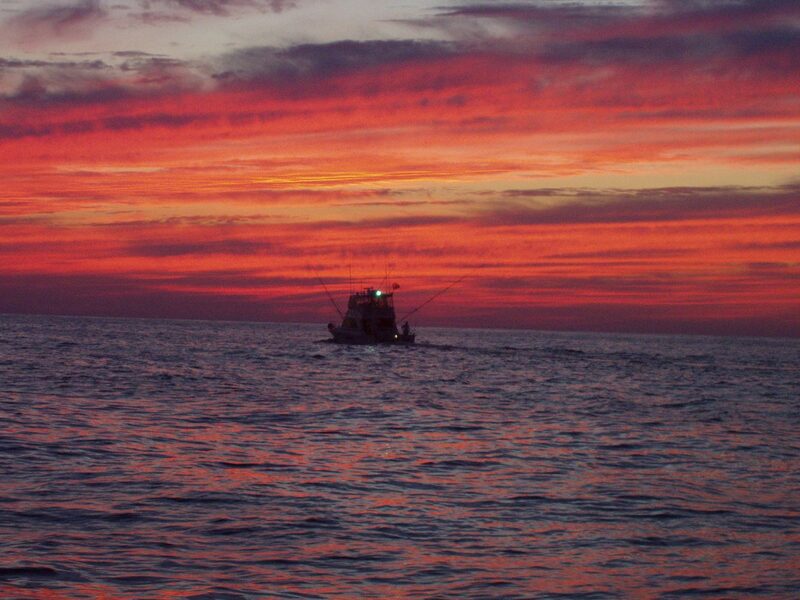 The Lucky Strike is best for the hands-on fisherman looking to remain in the action on inshore and offshore day-trip. The Jenny Lee is a 44’ Henriques with twin 600HP diesels and 600 gallons of fuel to provide the range and speed needed to find the fish. With an oversized 170 square-foot cockpit, a fighting chair, transom door, cockpit helm and room for hundreds of pounds of ice and fish, the Jenny Lee is truly a fishing machine. Step inside the salon and you will find one of the cleanest and most comfortable boats in the charter fleet. She is equipped with air conditioning and heat, satellite television, a microwave oven, refrigerator, coffee maker, over-under bunk room, large head and shower and a full L-shaped sofa. A reliable Northern Lights generator ensures power and comfort for your entire trip. On the bridge, the Captain has a full suite of electronics at his fingertips for both finding fish and ensuring your safety. This includes Furuno Radar, Fish Finder, Chart Plotter, 3 VHF radios and a satellite phone. Other safety equipment includes an 8-person life raft, EPIRB, first-aid kit and AED. If you are looking for a clean, comfortable fishing platform that gets the job done – and then some – look no further than the Jenny Lee. The smaller and newer of the two boats, the Lucky Strike is a beautiful 36’ Jersey Cape with top notch fit and finish that makes her one of the prettiest vessels on the water. 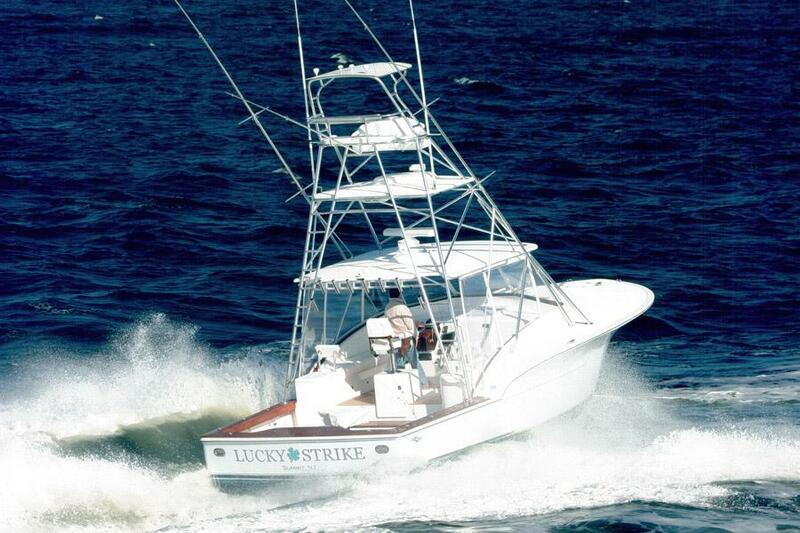 While she has made countless overnight canyon trips, the Lucky Strike is best suited for inshore fishing and offshore day trips. The Lucky Strike is equipped with a cutting-edge electronics package, a fully air-conditioned cabin finished in teak and Coach leather, over-under bunks, a master bed, microwave, refrigerator, stereo system, satellite phone and radio, two six-foot benches, an in-deck freezer and a massive cockpit finished with a teak deck and covering boards. 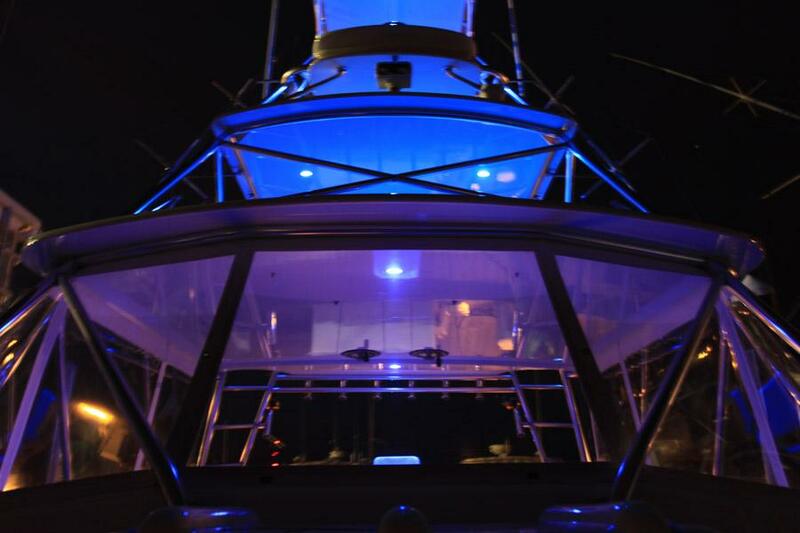 Rigid LED overhead lighting and Sea Vision metal-halide underwater lights complete the package. Powered by twin 540 horsepower Cummins QSC diesels with a 28+ knot cruise, the Lucky Strike will get you where you need to be quickly! 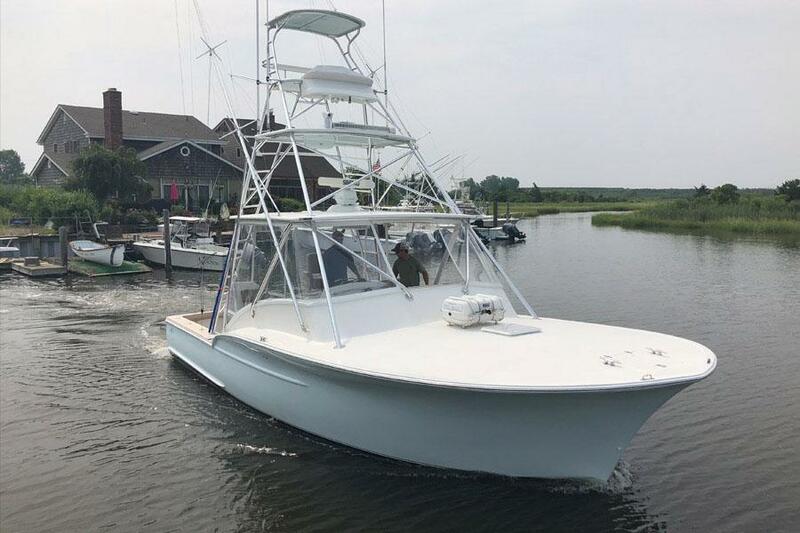 If you are a hands-on fisherman looking to be fully immersed in the action, work closely with the crew, and want a massive step up from a center console experience, then climb aboard the Lucky Strike.